Swap or cash out your unwanted gift card! Do you have a gift card that you received to a store that you wish it was somewhere else? 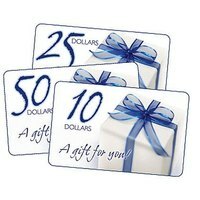 Or do you just wish you would have received cash during the time of recession instead of a gift card? Whatever your reason may be for swapping out or exchanging your gift card, these simple steps will get you on your way! Auction off your unwanted gift card. The online marketplace Ebay lists more than 6,500 gift cards for sale. Yesterday a Abercrombie & Fitch gift card for the amount of $150 sold for $148.50 and a Home Depot gift card for $100 sold for $97. Sell your gift card on Ebay! Look for retailers offering incentives to trade in competitors gift cards. Brookstone will give you a 15% discount if you give them a valid gift card from any other retail store. This could really work in your favor if you had a small gift card such as a $10 one from Starbucks that you didn't want. You could turn that in to Brookstone and get $45 off a $300 product. Look for a discount to work in your favor! Swap or cash out your gift card!